Ultra Easy - Simple installation by carpenters with no need for specialist trades. acoustic rating of RW + Ctr = 53. Our high fire rating provides a substantial margin of error where a 60 or 90 minute partition wall is required, and its excellent acoustic performance results in a very quiet real-world partition wall. This means no complaints from tenants. Architects, Builders and Surveyors, can specify and use UltraMgO™ Partition with complete confidence, knowing that it carries a full and current list of approvals. Contact us for your copy. No plasterboard means no water damage, no cracking and no compromising of your fire rating. Gypsum (Plasterboard) based Partition walls are vulnerable to water damage on building sites. Many construction companies have discarded several sheets or even entire pallets due to water damage. Installing wet plasterboard risks mold growing inside the wall cavity, resulting in expensive warranty claims. At the same time, plasterboard which has been soaked is unlikely to be able to maintain its fire rating when the time comes. 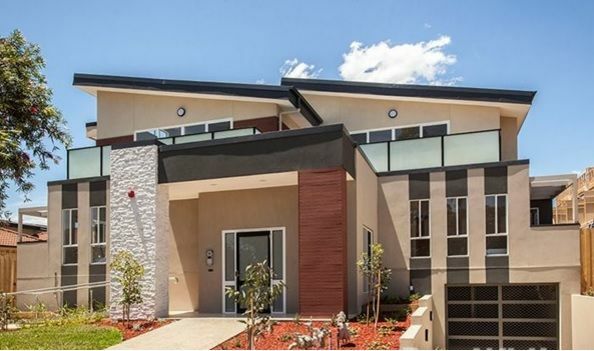 UltraMgO sheets on a recent Melbourne project site. Carpenters using the MgO pallet as a cutting bench - Ultra tough! An even greater problem for plasterboard is its tendency of developing hairline cracks (internally) while being flexed during on-site handling or during installation. Just a small hairline crack in a single sheet of plasterboard can spell the end of your fire rating. The natural flexing of sheets during a fire, ensures a hairline crack will continue to open up, spelling the end of your fire rating. By comparison, UltraMgO™ will not crack. No damage = no costly wastage and full fire integrity. UltraMgO. A vastly superior building board on site. With incredible bending strength of 10Mpa, UltraMgO is designed to flex. You won't damage it during handling or installation, and if you happen to leave it out in the rain for several days it won't be affected! UltraMgO is rot proof and cannot support mold. Providing the sheets are free from dirt or other organic material when installed, you've got no worries! It's how a serious building board should perform. Built with MGP 10 standard pine framing, Earthwool insulation batts and small brackets - Simple! No specialist trades required. Easily installed by carpenters. When you’re running a building site, time is money, and there’s no time to wait for a specially trained installation crew to arrive. Not to mention the extra cost it adds to your project. Lightweight, flexible and easily assembled. UltraMgO-Partition begins with a U channel on the ground. A bead of Firemastic on each shiplap edge holds the sheets in place. Three flat brackets per UltraMgO sheet (six screws total) over each board edge and its almost done. And our unique design means that only one pair of L brackets per UltraMgO sheet is required (sheet to stud connection). Fast and easy. Exactly how a Partition wall should come together! UltraMgO™-Partition was developed to suit the normal pattern of construction and follow-up trades. 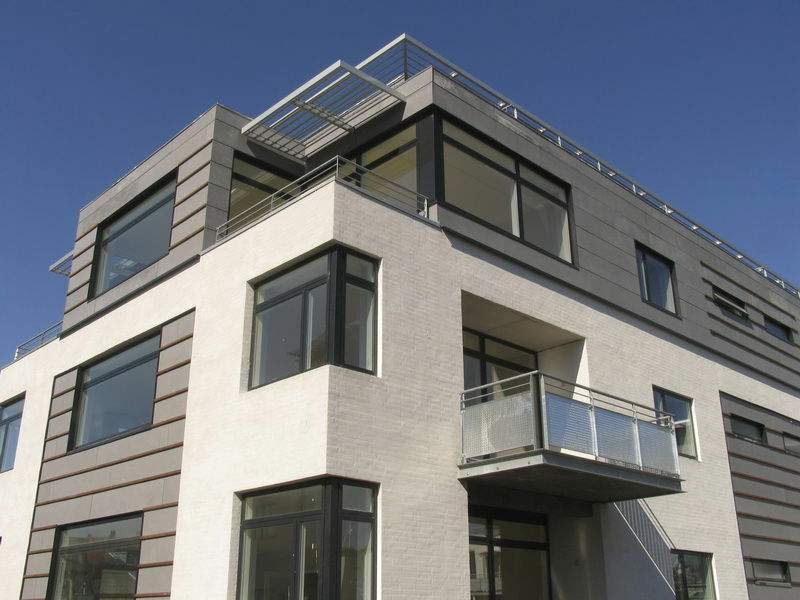 The fire-resistant UltraMgO™ panels are held in position by lightweight steel H channels. No fixing, jointing or finishing is required. 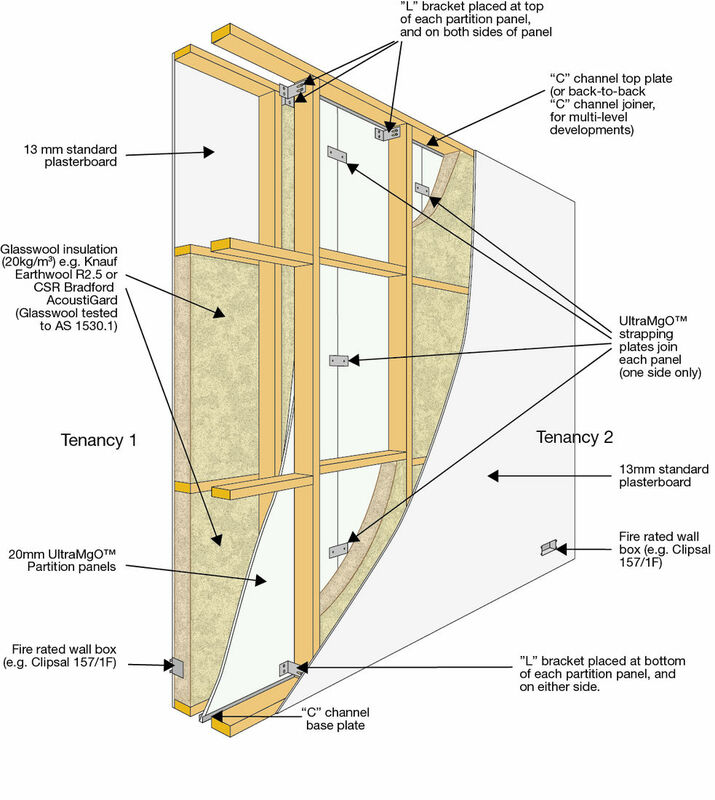 This installation procedure is easily carried out during the framing and plastering stage. The addition of FCF RockBatts™ provides additional insulating options where greater acoustic and thermal insulation is required.